By cupcakeSerenity on February 18th, 2012 . 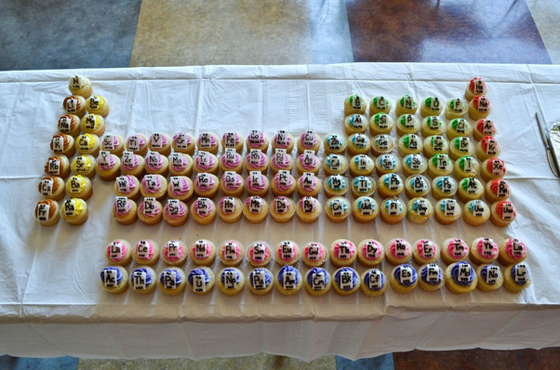 Filed under: Cupcake Ideas, Decorating, Kids, Photos . We’ve seen this idea before, but somehow, it just bears repeating. 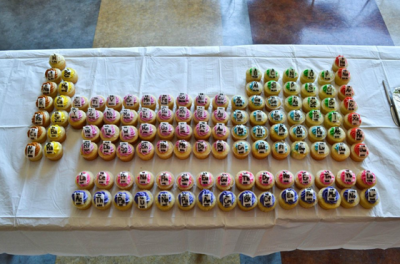 Here is another Periodic Table of Cupcakes, this time from engineering student Rachel Howden.